I just came across these pictures from last summer! 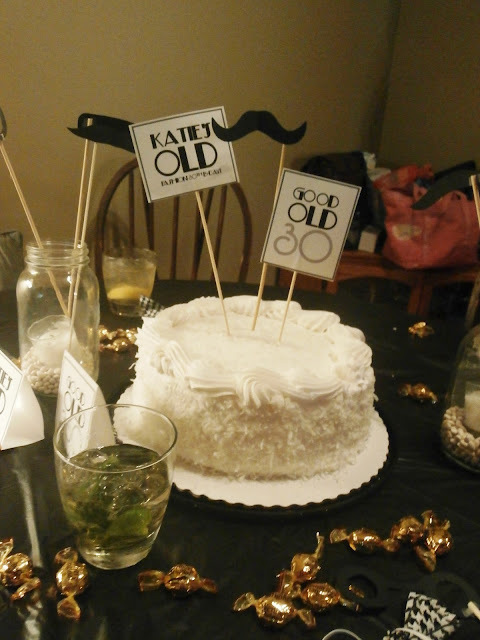 We threw a mini party for my sister in law's 30th. I thought it would be fun to play on the OLD part as the focus and make "fashion" a bit understated. (she thought it was funny) I made herringbone bow ties from ribbon and elastic. We had spectacles and mustaches on sticks. I used hard caramel candies on the table to add a touch of gold to the black and white theme. 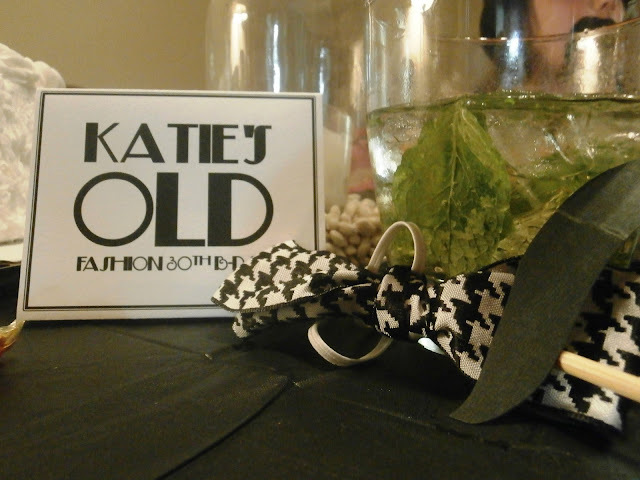 The adults enjoyed classic drinks like mint juleps and whisky sours. Super fun!